Near the beginning of this year, I was given the opportunity to read a galley of a book by Sophie Littlefield, author of crime novel A Bad Day for Sorry and YA thriller Banished. The book in question, Aftertime, knocked my freaking socks off, a fate from which I've yet to recover. The post-apocalyptic tale of personal redemption and love was wonderfully written, with a scope both epic and intimate, themes both frightening and comforting, and so much more than I could have hoped for. At the moment, it's my favorite book of the year. Yet with the first winter, Cass is reminded that happiness is fleeting in Aftertime. Ruthie retreats into silence. Flesh-eating Beaters still dominate the landscape. And Smoke, Cass’s lover and strength, departs on a quest for vengeance, one that may end him even if he returns. From the looks of it, Rebirth might have some of the dichotomy of scope that was present in its predecessor. One got glimpses of the great magnitude of the fate that's befallen society, but saw it through the eyes of a flawed individual who had much soul searching to do. That'd be a great thing for this story, because Cass has been a supremely compelling character to follow. It's too bad Smoke might be out and about for some of the time, but it's equally intriguing that there might be new faces to look forward to. The cover art is great, in my humble opinion (props to the artist!). It's visually in line with the first book of the series, with similar visual cues (the lone figure in the distance, the murky and diffuse atmosphere, the delicate bird perched upon some barbed wire, etc.). But what's noticeably different are the signs of life and civilization hinted at by the pristine wire fence and...(gasp! )...is that electricity in the street lamp? Oh, and the risk of over-analyzing, I'll also point out the choice of green as the main color in the scene fits the title, at the very least. What else to represent rebirth than the hue of our beloved flora? 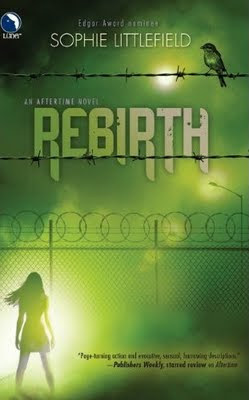 Rebirth is scheduled to be released in July, 2011 by Harlequin LUNA. i'm so delighted that you are looking forward to REBIRTH and thank you for mentioning it here!! Just wanted to stop by and say thanks for the comment and following. I'm following you as well. These covers really have a great yet scary feel to them. And I haven't tried the first book yet, but it is on my WANT list along with the others by this author. Thank you and sooo hope you get to enjoy this one as well. 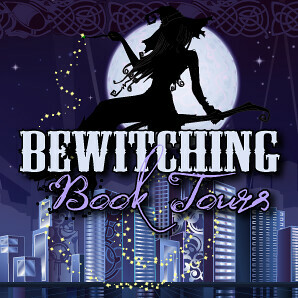 Your posts on this and the Renfield book make me want to go pick up the first books in their series.